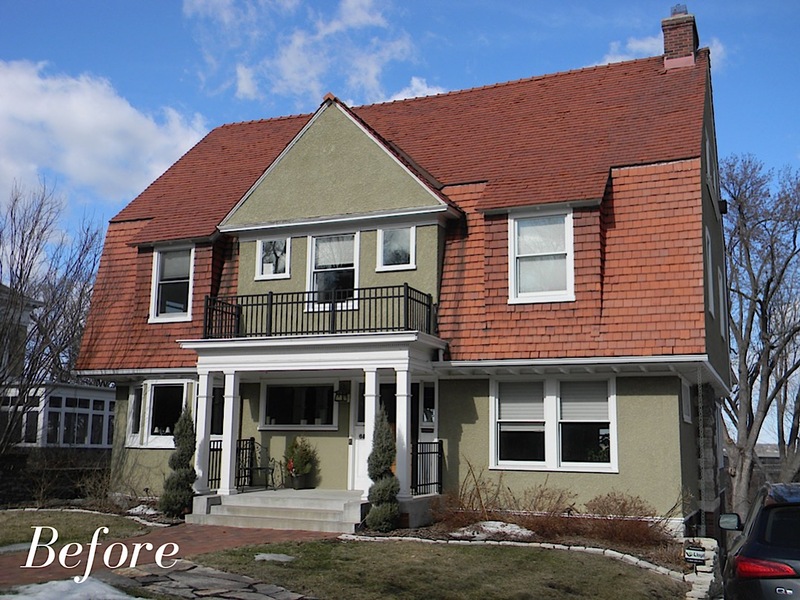 After purchasing this Lowry Hill home the owners wanted to do one last addition that would give them the master suite they lacked while also addressing some problematic exterior issues in this otherwise classic, gambrel roofed, Dutch Colonial Revival home built in 1906. Like most houses of its era the original layout lacked a large master bedroom with adequate closet space and a dedicated master bath. Although over the past 100 years the kitchen, bathrooms and garage space had been upgraded, the upper level bedrooms were left untouched. 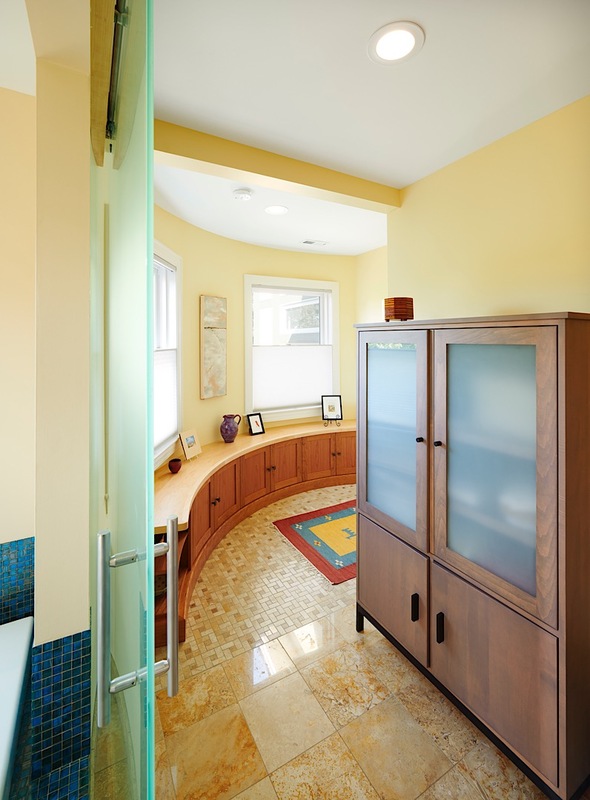 In a previous renovation an additional bath was added to the upper level but it didn’t include private access from any of the bedrooms. 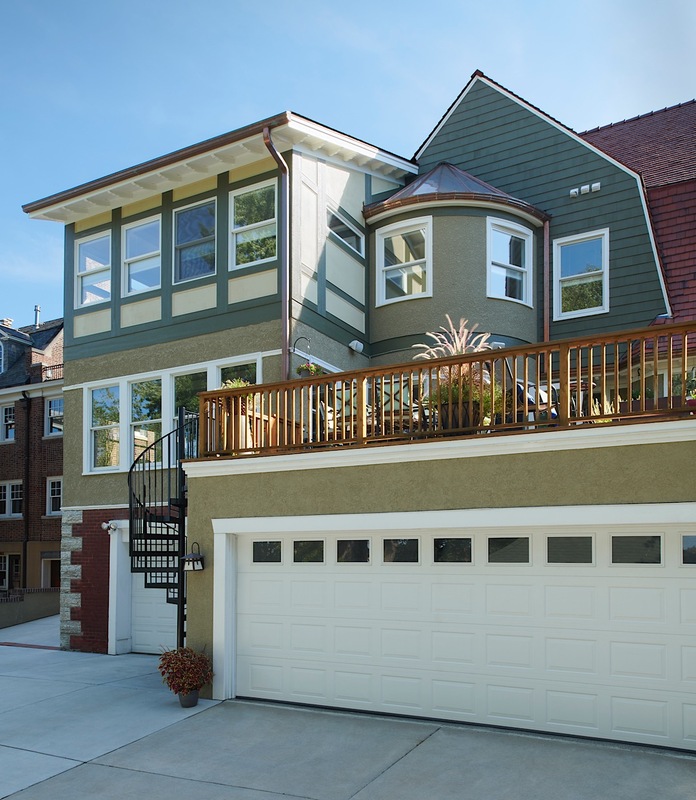 On the exterior the gable above the front entry lacked detail, the flat roofed family room looked unfinished, and the incongruous siding materials on the on the rear of the house also needed attention. 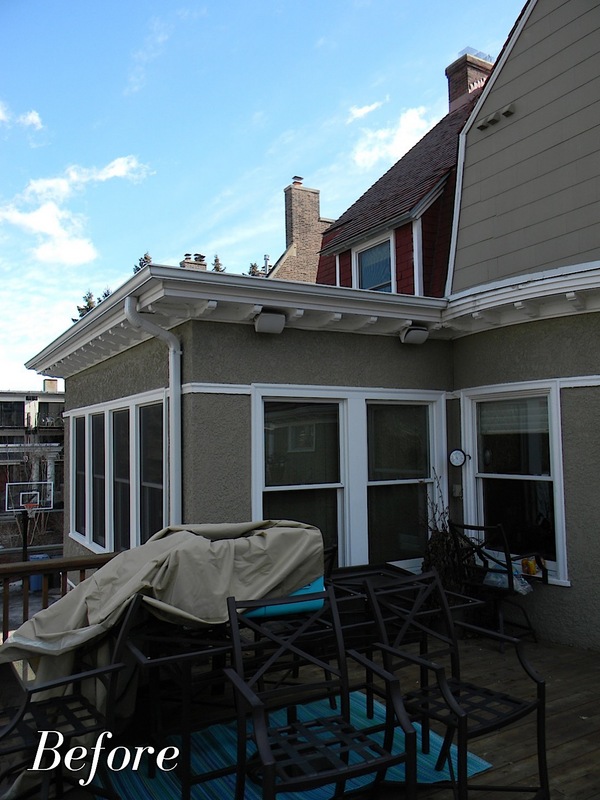 To resolve these issues a new master bedroom was added over the existing flat roof of the family room giving them a panoramic view of the Walker Art Center and the Minneapolis skyline to the east. 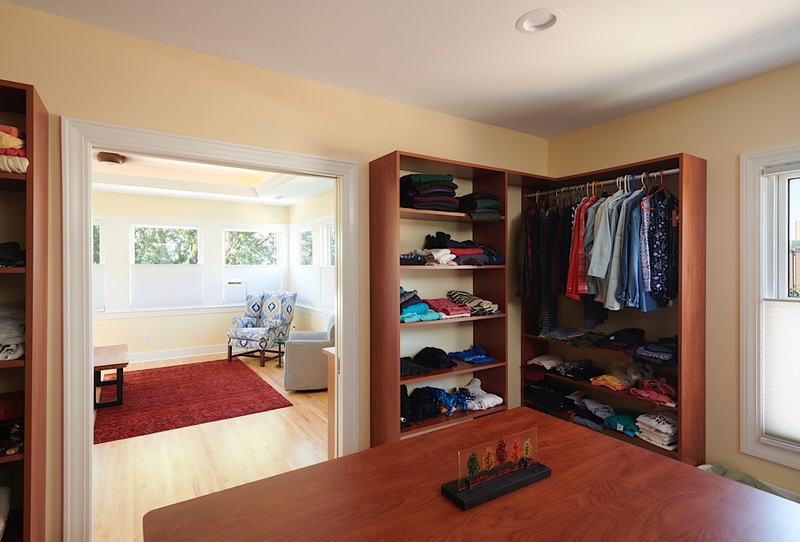 An existing bedroom was then converted to a new master closet & dressing area with convenient access to the upper level laundry. 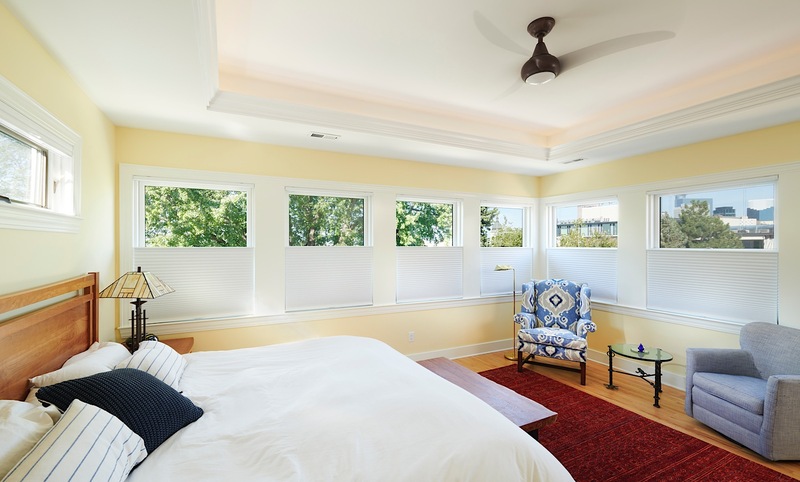 Space was also added above the curved dining room to create a new master bedroom entry with a direct connection to the previously remodeled bathroom, completing the new master bedroom suite. 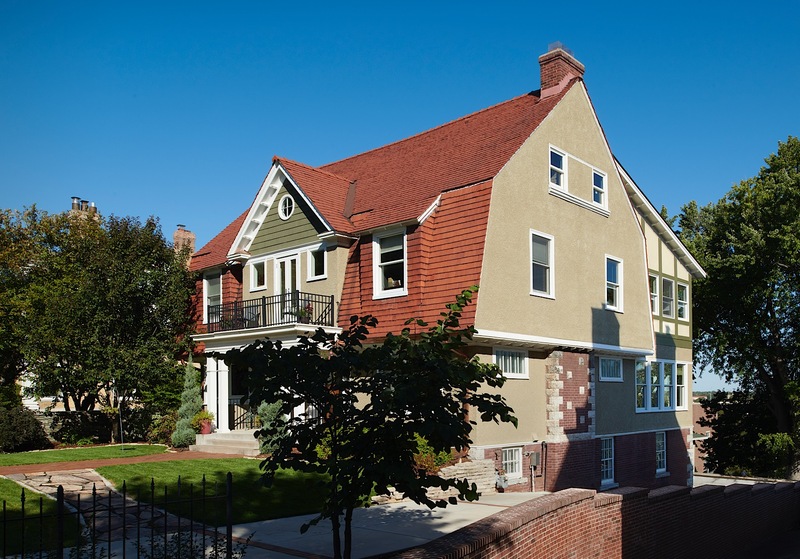 The exterior of the new master bedroom addition was designed as a porch like structure to maintain the integrity of the original 1906 home and the new master suite entry is expressed as a copper roofed stucco turret tying the old and new together. 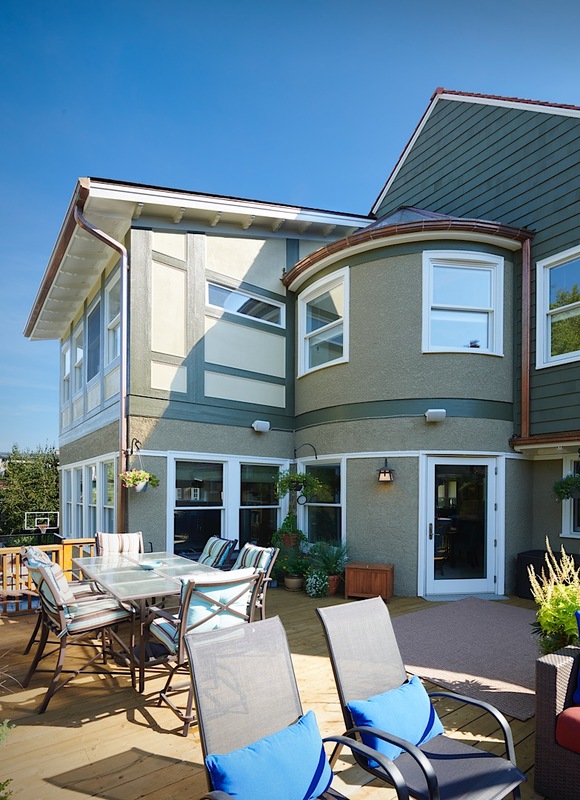 The front entry gable was also redesigned to include a new overhang, a French door to the balcony, a new round window, and shake siding to match the new rear gable siding. 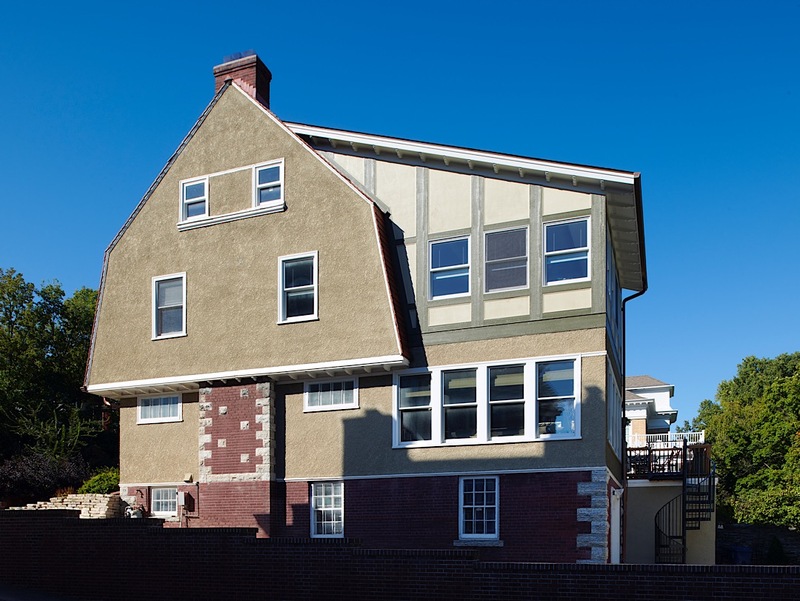 The existing rafter tails and other details were also replicated in the new work to complete the composition and prepare the home for its next 100 years.